Physiotherapists are specialists in the management of movement disorders. When an area of the body isn’t functioning well due to injury or underuse, a physiotherapist will work towards restoring movement and strength in the affected area. Your physiotherapist will take the time to explain your diagnosis, educate and give you advice regarding your problem and together develop an individual treatment plan that will assist in achieving your goals. Treatment may include specific strengthening and stretching exercises, manual therapy, massage, heat therapy. Acupuncture and dry needling may also be used. With your independence in mind a physiotherapists goal is to work with you to restore, maintain and maximize your mobility, strength, function and overall well-being. With the belief that clients are active participants in their own recovery movement and exercise are important in the treating process as this effectively restores function. 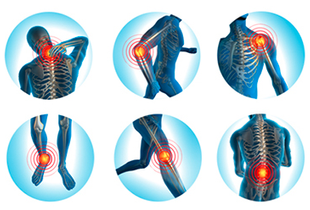 As well as decreasing pain and improving function Physiotherapy focuses on removing the cause of the problem. Sometimes this process can take time, but the results are more permanent with less chance of the disorder returning. Physiotherapy can make a difference in an individual’s ability to live an active, healthy lifestyle. For many people physiotherapy is the key to restoring and maintaining a level of physical function that allows painfree movement. Physiotherapy benefits include decreasing pain, improving joint mobility, strength, posture, stability, coordination increased cardio-respiratory function. Physiotherapy makes a difference to a person’s ability to live an active healthy lifestyle. Everyone can benefit from physiotherapy whether you are living with a chronic illness, recovering from a work injury or suffering after that race on the weekend. You do not need a doctor’s referral for physiotherapy. If you’ve had an accident and are eligible for ACC this can be done in-clinic. Many health insurance companies also cover physiotherapy, check your individual plan to find out.